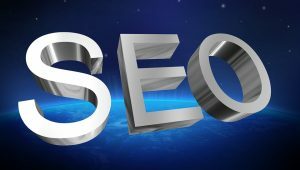 Business owners and marketing professionals alike are always on the lookout for new SEO trends that might affect their business in a positive or negative way. One area that has received a fair amount of attention is local SEO practices. This is an area where new trends seem to be popping up, which leaves people wondering will these trends in fact change the future of SEO? For those who are new to local SEO, it’s actually become a rather popular tool. The whole idea behind local SEO is that it provides users with information that is relevant to them based on their location. The reason this has become so important over the past couple of years is due to the fact that so many people rely on smartphones and mobile devices to perform various searches. It allows people to find services and products nearby to their current location, which offers a higher level of convenience to customers. From a business’s standpoint it requires adding local information to your content to ensure it is seen. Of course in order to stay relevant and make the most of local SEO, it’s important to be aware of the latest trends. One of the biggest trends happening right now, that doesn’t show signs of slowing down, is an increased desire for speed. People want to be able to search for information quickly and easily, which means that your content needs to load smoothly and very fast. Potential customers aren’t going to wait around for a picture or contact information to load, they will just move on to the next option. As the amount of people using their mobile devices continues to increase, desktop users decrease. What this means is that your content needs to be mobile-optimized. It is advised that plugins are removed to ensure that content loads quickly and appears as it is meant to. Another trend that is helping to shape and drive local SEO forward is the inclusion of customer reviews. Including customer reviews will allow you to rank higher on Google, which of course increases the odds of you being seen. This is a great way to increase your click through rates, and appeal to new customers. You are probably very familiar with the digital assistants that allow users to perform voice command driver queries on their mobile device. With that said businesses need to ensure that their content is not only using local SEO practices but also features conversational language. It’s important to think about how customers would word their questions and make sure to use longtail keywords. SEO practices have changed drastically over the years and the future will be no different. It’s important to not only be aware of these new trends but learn how to use them for your own benefit. Change doesn’t have to be scary or negative, in fact it can end up helping your business. « What is Retention Marketing and Why Should You Use It?